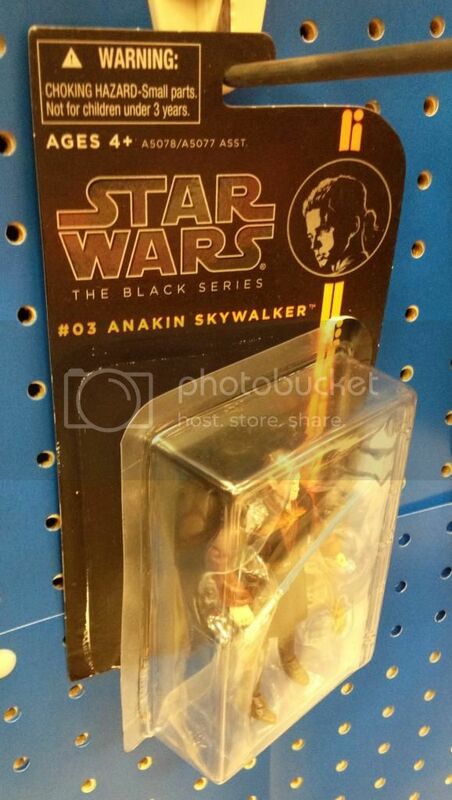 Am I the only one that thinks the Black Series cards look half complete? I've never thought of it that way; but they do look rather minimalistic in comparison to cards of earlier collections. I really do love the size, though, even if the graphic design leaves me a little bored. I hope that Hasbro sticks to this smaller card size from this point forward. On another note, I am noticing that several of the cards in the TBS and SL/MS lines have bubbles that are starting to fall off. It's as though Hasbro is using cheaper glue. It's not really a problem for me, since I am an opener. But I do want the card and bubble to stick together long enough for me to get these figures safely home. Yikes... On a positive note my Slave 1 arrived yesterday!